--- Gathering together is not to talk about it, but to satisfy the childishness; not to compare the nobles, but to share the bitterness and sweetness. Get together, just because you want to hug your shoulders and look at your face. Really just because I haven't seen you for a long time, I miss you. **"The gathering is just for "getting together. "** --- https://c2.staticflickr.com/2/1844/43535470164_55c12f0d86_o.jpg The bag is made of 12-ounce thick canvas. It is thick and suitable for meals and snacks. It is also suitable for people who are used to taking some belongings. https://c2.staticflickr.com/2/1898/43532704154_e0496312b9_o.jpg The color is soft and warm, and the powder looks very comfortable when paired with green~ https://c2.staticflickr.com/2/1876/30383182448_c249f8f326_o.jpg Books of the general novel size are placed underneath, and the 500ML kettle, lunch box and long wallet can be easily placed and taken. Another style of the same size "will be left behind after the change." 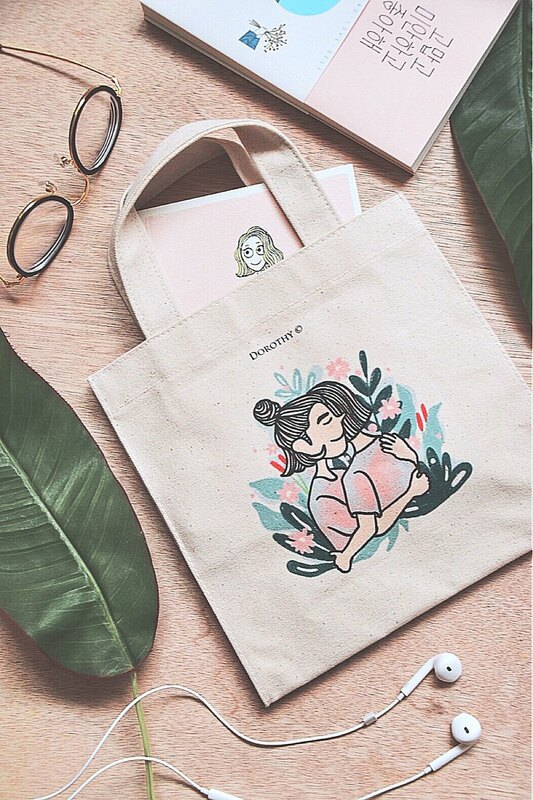 https://www.pinkoi.com/product/q7XpRWN7?category=1 **Canvas merchandise shipping instructions** / Settlement at 17:00 every Friday, shipped once a week (in case of national holidays will be delayed). **Canvas merchandise notes** / Small black spots on the cloth surface are normal. If you like white cloth, please do not buy. / The computer color is slightly different from the actual color. / Since the canvas is sizing, please avoid washing with water to avoid washing water. / Small stains on the surface can be wiped off with an eraser to remove dirt. / Deep dirt is recommended to be removed by local cleaning (recommended hand wash or use a fine brush), brushed in small areas of water, after washing, you must try to spread the shade and avoid direct sunlight to avoid wrinkles. / Please use a neutral detergent without bleach or phosphor to dilute with water.